news The Federal Government has issued a landmark discussion paper seeking industry and other stakeholder opinions on how it can best implement a strategic shared services scheme to serve the needs of its departments and agencies, despite the fact that this very same model has abjectly failed several Australian State Governments over the past half-decade and been abandoned. In a statement released today, Finance Minister Mathias Cormann said that the ‘Shared and Common Services Programme’ aimed to “consolidate the provision of transactional and other common corporate activities to ensure public sector corporate services are sourced in the most efficient and effective way”. 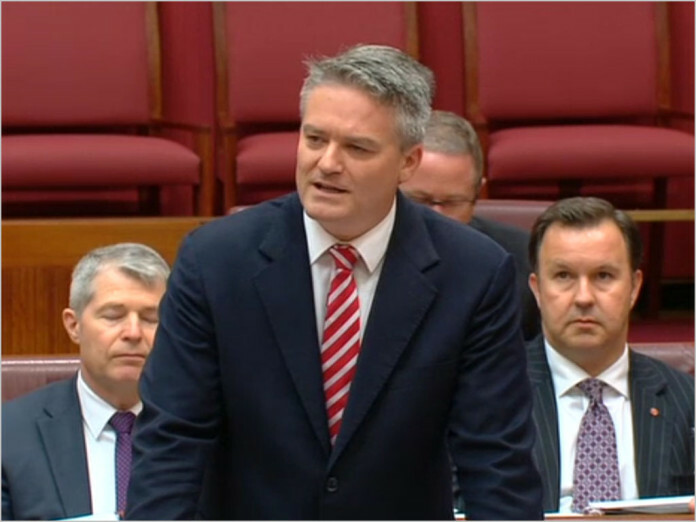 With this in mind, Cormann said, his Department of Finance would soon invite private sector organisations to identify opportunities for consolidating corporate services within the public sector. “This is the first step of the Government’s shared and common services programme which is expected to further contribute to repairing the budget by building on the $44 million of savings already realised within this area in the 2015‑16 Budget,” he said. Finance has released a discussion paper on the issue which explicitly includes mention of IT services and platforms that the Government is seeking to consolidate. You can download that document in PDF format here. 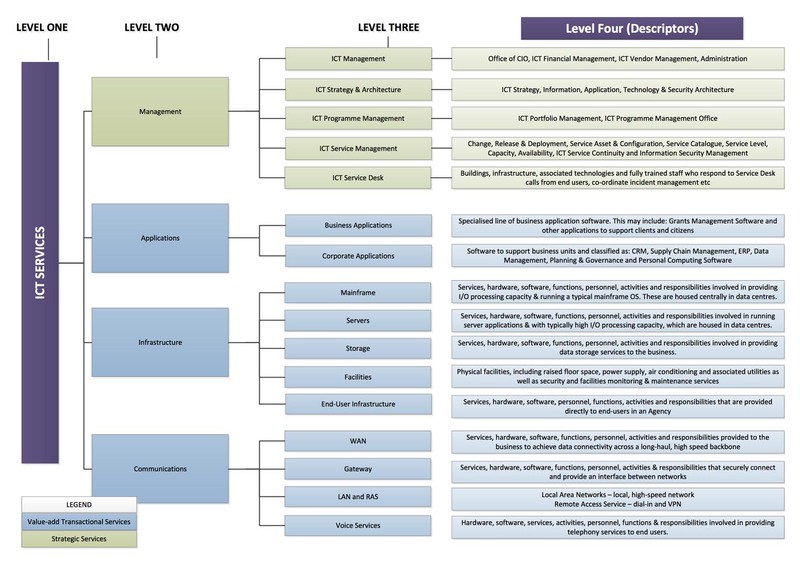 The document includes an extensive diagram listing almost every category of IT services that the Federal Government uses — from business applications to mainframes, servers, storage, telecommunications and voice services — as being listed as part of the program’s mandate. Finance noted that it was “keen to receive responses from all sectors of the community”, including systems integrators, software and hardware providers, business process providers, shared service providers and consultants and advisors. The move appears to build on a similar initiative kicked off in March 2014, which is seeing Finance explicitly look for shared services providers in the area of Enterprise Resource Planning software. However, the document does not acknowledge that the IT shared services model has broadly failed in Australian State Governments over the past five to seven years and is being comprehensively wound back across the board. In this sense, the Federal Government is going against the nation-wide trend away from IT shared services. In June 2010, then-Queensland Premier Anna Bligh revealed the state would abandon its centralised IT shared services model as its exclusive structure for delivering IT services in the wake of the Queensland Health payroll disaster and damaging revelations of widespread problems in associated programs. The Queensland Health issue alone has cost the state more than $1 billion in cost overruns. Queensland’s IT shared services model was started after 2006 and aimed squarely at ERP packages, as well as centralised email systems. Western Australia’s own shared services project was kicked off back in 2003 with the aim of consolidating financial, procurement and human resources back-office functions from agencies to three shared services centres — covering the health and education portfolios, as well as a number of other agencies. At the time, the state aimed to cut about $55 million out of its annual $315 million corporate services bill. However, after a string of failures, the state abandoned the program in July 2011. In August 2012, a landmark report into the management of the NSW Public Sector commissioned by the state’s new Coalition Government described how dozens of overlapping and competing systems and services providers have created “chaos” when it comes to the state’s current IT shared services paradigm. And in Victoria, the Victorian Government has gone to market for IT outsourcing partners to replace large chunks of the service delivery functionality currently provided by its extremely troubled IT shared services agency CenITex, after the agency suffered long-running and extensive problems delivering on its mandate. CenITex did not specialise in application-level shared services such as ERP systems, but more on IT infrastructure, but largely failed at that task. Uniformly, in most of these cases, government auditors have found that much of the problems with IT shared services schemes has rested in trying to apply a ‘one size fits all’ model to departments and agencies which have significantly different needs and business processes. Everyone wants to take advantage of the cost savings (outsourcing to the private sector. *cough*) that would result from shared services, especially in areas like accounts receivable/payable, payroll, and software licensing but nobody wants to let go of their existing systems that work well and have been tweaked over many decades with their agency’s specific business needs and practices. Some agencies are Oracle houses, some Microsoft, some a mix of both (or neither) Some agencies’ IT is totally outsourced already, some are run totally in-house. And nobody has the money to pay termination fees to their existing vendors. Long story short, Government IT is hard. Also, managers will always claim that adding yet another layer of management (inevitable result of any outsourcing venture) will increase efficiency and streamline service. Even though this goes against the evidence of every attempt ever. Thanks to the metadata that was not properly removed in that pdf, you can tell it was actually authored in the private sector. If the government needs to outsource its vision and ambitions at such an early stage, it does not augur well for the future of that program indeed. Also, passing on the default Word template and approximate Visio (2010) styling, communicating this kind of data in a format that is painful to process is already an inefficiency. Using Microsoft Word is an inefficiency in its own right. Unfortunately, Microsoft is one of the most efficient marketing enterprises in the world. South Australia also tried an “all of gov” shared IT services system originally via EDS (now HPE) and it too was a spectacular failure! “One size fits all” models just simply dont work. yeah things like email is a big one. Locked into an old school datacentre/exchange based option (because its part of the whole of govt/ss arrangement) when the likes of office 365 would mean agencies can get 10x features for 1/4 the cost. Pay roll system update delays because it just takes time to get to everyone so your client in govt is waiting years with huge delays again to get necessary updates installed. And its not the folk inside either as there’s some real gems (they’re just as frustrated as us mere contractors etc) just seems that whole structure just doesn’t work within a government structure or at least not an Australian one. That they haven’t learnt from the states … *sigh*. For a govt that is spriuking startups and the like it needs to handle Tech way better! and guess who signed the original SA Gov 9 year contract with EDS in the mid 90’s …… the Liberals!!! They just don’t learn from their mistakes do they! I sometimes think we have Goldfish running this country, or Finance Minister Mathias Cormann has just crawled out from under a rock. “The Federal Government has issued a landmark discussion paper…” I burst out laughing when I read that – the bovine excrement is strong with this one.. In concept and looked at in it’s most simplistic way, it seems at first a great idea – but then a rice pudding skin skim will show to anyone not bereft of a brain that there are reasons why previous similar attempts (Gasp, so no Landmark) failed so spectacularly. 1) It WILL cost a HUGE amount of (wasted) money. But what would I know, I’ve only been in I.T. 30 years . Now where did my goldfish flakes disappear to? You people should read the paper! They are talking about HR and AP not IT. Why do you nerds think it is always about you!!!! Simple, without us and the technology we design, build and manage, your comfortable little high tech world ceases to exist. No, you are wrong. Your designs don’t work without a purpose!